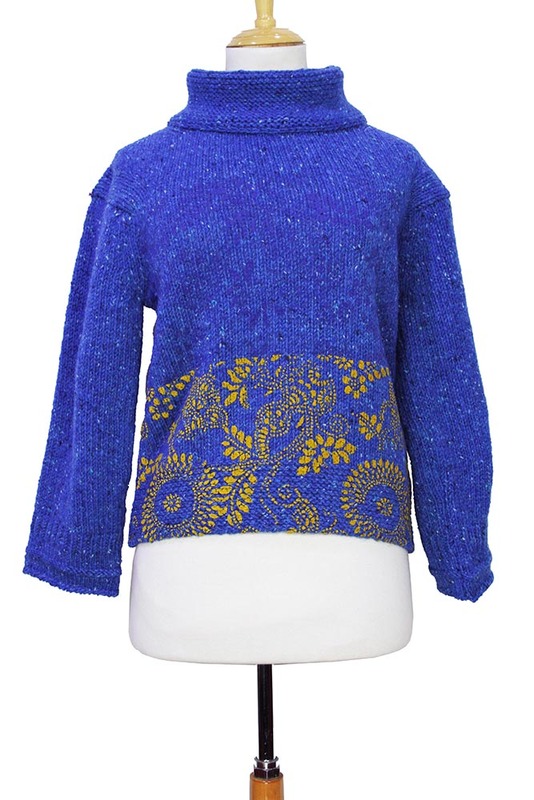 High 'Klimt' heavy knitted, marl, short pull-over in blue with different shades of marl and knitted stylised flowers within the knit. Log sleeves with ribbed cuff. Stylised flower prints in mustard on lower front. Doubled layer high neck. 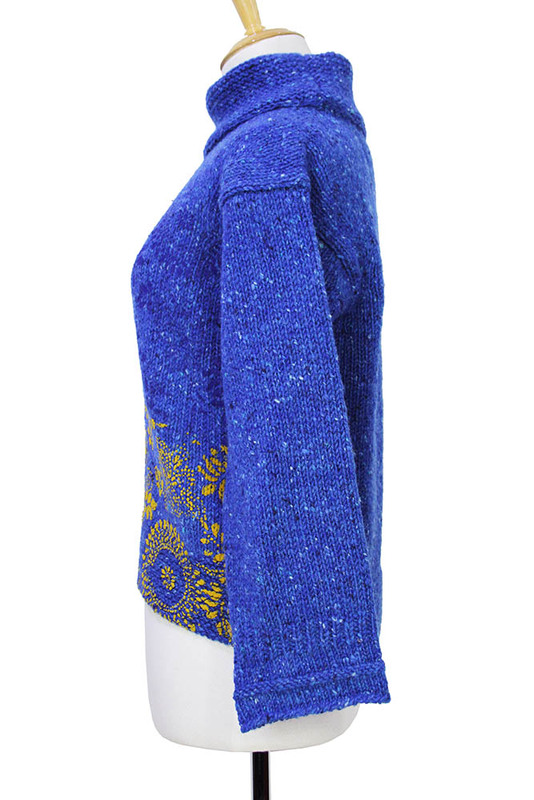 Knitted hem detail. Tartan panel inside at rear neck. 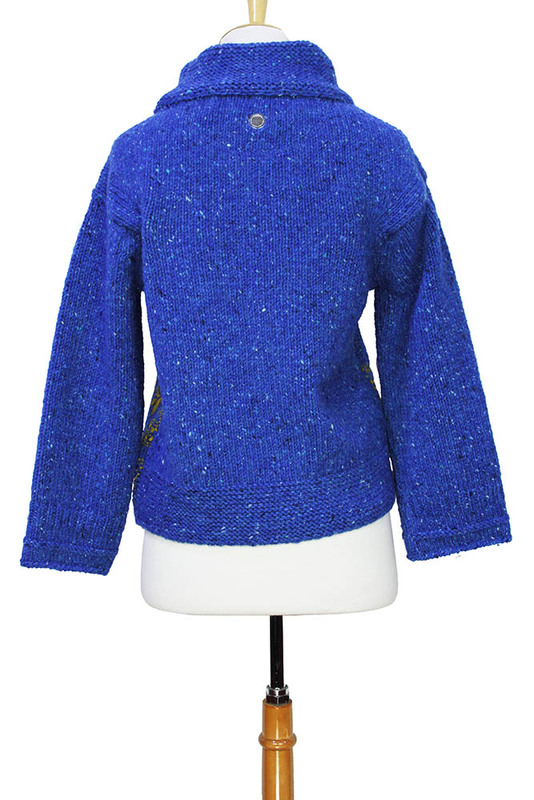 Beautiful piece of knitwear.